Which are you more nervous about – a job interview that you’re really excited about, or a first date? They are both very similar to each other. Both are establishing a connection to decide whether both parties would like to further continue the relationship, and have a second or third interview (or second or third date). Now, interviewing results in a commitment much faster a lot of the time, but it’s the same type of thing. 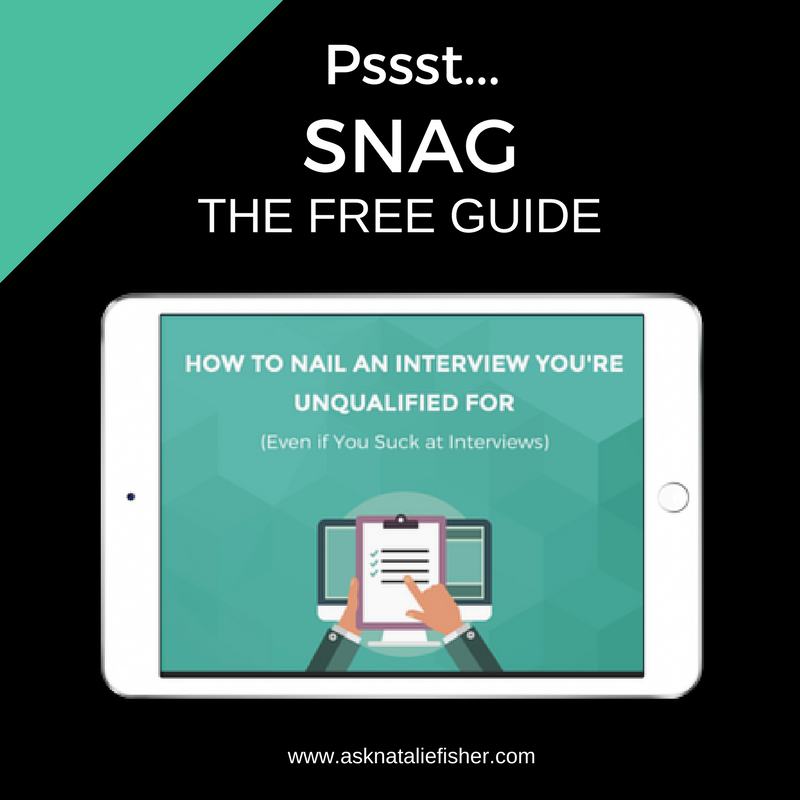 When you go into an interview, at first you likely feel nervous. Like all eyes are on you, and your every move is being watched. It makes you uncomfortable, doesn’t it? One of the biggest mistakes that interviewees make is believing that they need to be “polished,” “professional,”” and “perfect” all the time while in the interview, but just the opposite is true. 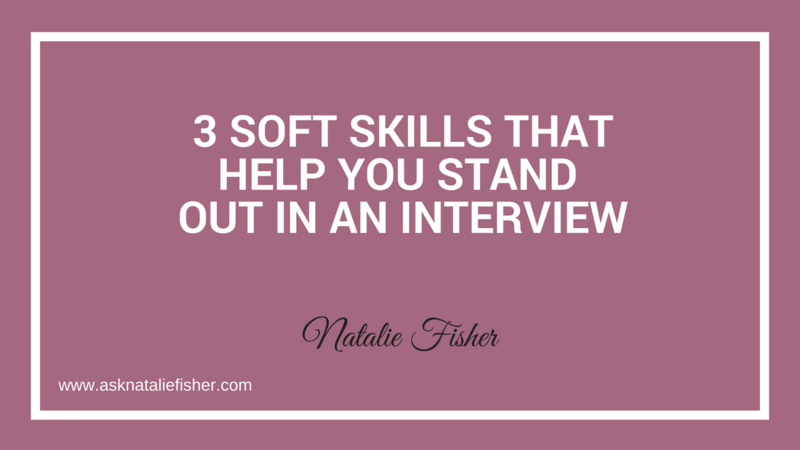 In this post, I have 3 soft skills with examples of how you can convey them in an interview and why they are important to help you succeed. ➢ Humans psychologically gravitate towards people who have compassion towards others. Even in the most difficult of situations at work (or in life), if you’re coming from a place of compassion (which, for many people, can be difficult to do all the time), then you’re going to get a good response in the end. ➢ A good story that demonstrates that you’re a compassionate person can go a long way in an interview. A common situation is working with others where one person is not doing work as needed to be successful. Move forward. Complete a project, etc. When working with others, we have to navigate this stuff, especially as a manager, but as part of a team too. I was working with a co-worker who was very non-communicative. I would always have to go up to him and ask for updates. And bug him – and I felt like I was starting to be a nagging wife (LOL). I felt like he didn’t want to do the work, and if I didn’t bug him about it, then it’s possible that nothing would be getting done. I asked if we could have a one-on-one chat and go for coffee (I offered to buy), and he said, “Sure.” We had a great conversation and were able to understand a lot more about each other’s working styles. I started the conversation by asking him how he was doing and if there was anything going on that was bothering him, or if there was anything I could do to make his work go more smoothly. I felt like I was bugging and nagging him all the time, and I wanted to make sure that I wasn’t annoying him too much. He laughed, and he thanked me. He said, “That sounds like it’s worth a shot.” So we set up a meeting with his manager. His manager had no idea that he was so swamped or what had been going on with his tasks, and she said that certain things could be taken off his plate. This was the start of open communication and a great working relationship moving forward. I don’t believe that being compassionate means you’re a softy or a pushover. I believe it means that you can get things done, move projects forward, and get great results, all while still remembering to care about people. ➢ Have you heard that saying: “Common sense is not all that common anymore”? It’s true that sometimes as a hiring manager (or someone who has hired in the past), I’ll come across someone where I just couldn’t understand why they decided to do something (or not do something), and it used to frustrate me. I had a degree-educated receptionist who got visibly angry with me as her manager because I didn’t tell her that there was a delivery coming at a specific time, and she didn’t know where it should go (It was a fairly large filing cabinet.). The thing is, that sometimes deliveries come at unexpected times, and we don’t always have a heads up about them, even though we’d like to. This isn’t just true of deliveries – sometimes contractors show up at different times than they said they would, and sometimes your boss needs something immediately and you have no warning or time to think. You just need to act. In life, things get thrown at us and we cannot always have a warning or be totally prepared. ➢ Telling a story about how you possess sound judgment in one of these situations would be a great asset to add to your toolbox. My boss was in a meeting with some investors and he contacted me via Slack (the company messenger that we use) and asked me for two things within the next 5 minutes. I tried messaging him back with a few questions. There was no response, and I could see that he was clearly very engaged in speaking with these investors and I had no way to contact him. In my opinion, interrupting him for questions was not sound judgment at the time. I had no details of what he really needed, so there was guess work involved. I took: I asked my colleague to go up the road and pick up some sandwiches, salads, and some dessert bars from the place up the street while I focused on getting the financials they needed. Within seven minutes, I had everything to him. 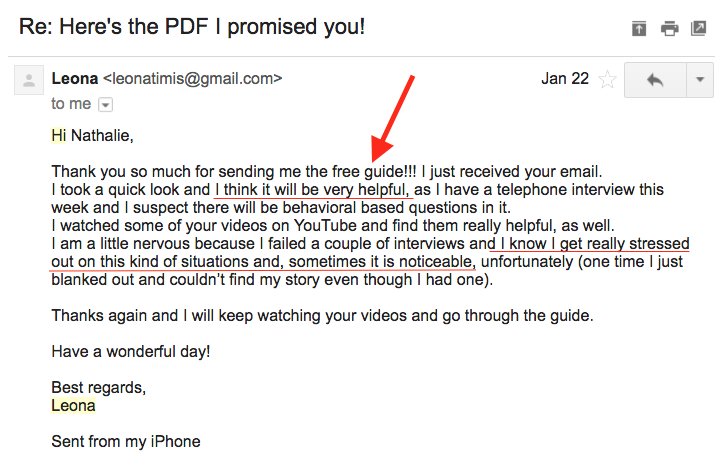 Now even if the things were not 100% correct, I did the best I could with the time and information I was provided and I knew the key here was acting quickly, not perfectly. At first, it was nothing. They continued the meeting and then my boss had to leave. ➢ The thing is that humans also gravitate towards people who are genuine and authentically themselves. Even if (even more so if) they don’t appear to be “perfect”. They’re going to like you more when they see you as a human being who has flaws. You’re more relatable than someone who does show up as “quote on quote” perfect. We as humans don’t feel right about someone who seems “perfect”. It’s in our human nature to be suspicious, and it seems fake and disingenuous when someone is too polished and too rehearsed. It doesn’t give people a good feeling. They start feeling that something is off about this person (they may not even know why they think this). Or they just won’t get a warm and fuzzy feeling about you, like you’re hiding something or you’re not being completely honest with them. A good example of this occurs when candidates try to disguise their weaknesses as strengths, by saying that they “try too hard” or they “work too much.” A candidate who never makes a mistake or never admits they did something wrong raises a red flag. Have fun in your interview. When you’re having fun, you’re in a relaxed state! You are in a good place with good energy surrounding you! It can just seem fake too many times when people try too hard – and hiring managers see this a lot. ➢ Even if it were possible to appear perfect for an hour long interview, why would you want to? It’s like a date: if you’re (even a little bit) pretending to be someone you’re not. Then they hire you based on that, and you’re going to need to keep that persona up for the time you’re in the job. That leads to a bad fit. If in the interview they ask you about a particular project handling numbers or spreadsheets. The truth is that you hate numbers and spreadsheets, and you tell them that you’d love it. You can end up in that role where they think you’re going to be good, and you’re secretly hating it. So bring yourself to the interview, and be honest about who you are! If they like you, GREAT, and if they don’t like you, AGAIN GREAT. Either way, you’re in a better place for being yourself and you’re now giving them a chance to hire you for the right reasons.